To a business that’s never experienced the benefits of well-crafted on-hold messaging, the title of this article might seem a bit over the top. But once you’ve leveraged professional, customized on-hold messaging, the results you see — including improved customer satisfaction and increased profits — make the power of on-hold messaging undeniable. On-hold messages are an incredibly effective tool. They can be used to cross-sell a customer, promote new products or specials, and educate callers about product benefits or some of the perks involved with working with your company.Pridham Electronics offers on-hold messaging programs that are highly customizable. We can help you design and execute an effective messaging strategy that turns on-hold time into an opportunity to connect with customers. In addition, ads can be updated bi-annually, quarterly or monthly, depending on your company’s needs.On-hold messaging has been shown to create a more positive experience for customers. As you’ll see from some of the statistics listed below, it can greatly improve your ability to retain callers, reduce hang-ups and engage customers with relevant information that makes their hold time go by more quickly. Plus, on-hold messaging can improve your bottom line! Without messages or music, nearly 60% of businesses callers placed on-hold will hang up. Nearly 30% of these callers never call back. 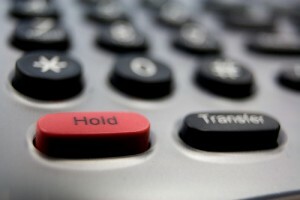 70% of businesses place callers on hold, with an average hold-time of 45 seconds. A study by US WEST reported that when companies played information on hold, caller retention increased by 40%, inquiries increased by as much as 15% and requests for services increased by as much as 12%. These are some impressive numbers, and they’re all due to efforts made before the customer talks to an actual person. 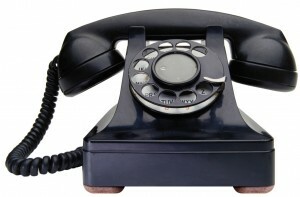 North American Telecommunications Association revealed that callers hang-up faster during silence on hold. Callers will hold approximately 30 seconds longer when hearing music, and callers will hold up to 3 minutes longer hearing music coupled with information. 88% of callers preferred on-hold messages to other on-hold options, and close to 20% made a purchase based on an on-hold offer.